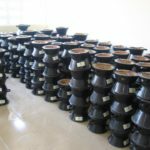 MAKING IT MAGAZINE – Good Business: D&E Green Enterprises – D&E Green Enterprises, Inc.
of a Haitian company manufacturing cookstoves that require half the amount of charcoal needed by traditional stoves. 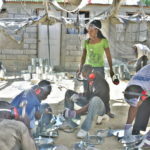 Over the past 60 years, Haiti has received more than US$20bn in aid for reconstruction and development from the international community, but these large sums have not helped the nation move out of poverty. Around three-quarters of the population lives on less than two dollars per day, and more than half live on less than one dollar a day. Fednard firmly believes that “the first step to get people out of poverty is to provide jobs”. So, after studying and working for almost 14 years in the United States of America, he went back to his homeland, aiming to create a social business that would provide jobs for Haitians. 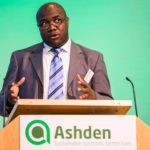 An idea had come to him during a business trip to Ghana in early 2008 when he had been very impressed by the efficient charcoal stoves made by a local company, Toyola Energy. He thought that these stoves could make a real difference for Haiti, where most people use charcoal stoves to cook their food, spending around a quarter of their annual income on the fuel. In 2009, he founded D&E Green Enterprises, which produces fuel-efficient cookstoves. Realizing that it was no longer his business alone, Fednard decided to carry on. 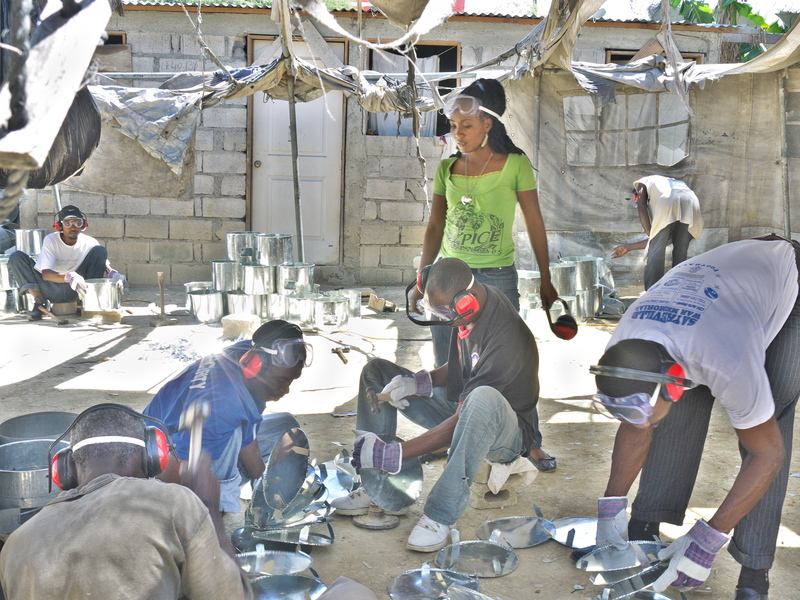 Without a factory, the production line was moved into two tents, where workers continued to make the stoves by hand. Despite the setback, the company managed to produce and sell over 40,000 manually-made stoves by 2013. 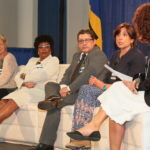 In Fednard’s plan, the fuel-efficient stoves produced by D&E will not only cover the whole Haitian market, but also allow the start of exports to neighbouring countries with similar conditions. The company is also expanding into other sustainable energy technologies. 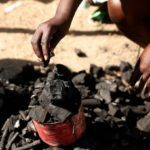 For instance, in order to address the electricity needs of rural Haiti, later this year it plans to launch, along with two partners, the first pilot plant using small-scale gasification to generate electricity from agricultural waste. The EcoRecho charcoal cookstove is the most popular of D&E’s range of products that cater to customers with different income levels and family sizes. The name ‘EcoRecho’ states clearly the advantages of fuel-efficient, charcoal cookstoves: ‘eco’ stands for both ’economic’ and ‘ecological’, and ‘recho’ is the word for a stove in the Creole language. The EcoRecho design is based on that created by Ghana’s Toyola company but has been adapted to Haitian users’ tastes and cooking habits. The biggest size stove serves a family with five members and sells for US$12. The price is double that of traditional charcoal cookstoves, but the EcoRecho stoves actually save customers money. Firstly, compared to traditional stoves that last between two to six months, EcoRecho stoves are expected to have a lifespan of two years. Meanwhile, D&E promises a one-year quality warranty, a six-month replacement guarantee against faulty manufacture, as well as a ‘money-back’ warranty, which, says Fednard, “means if the stove doesn’t save you money, bring it back”. Therefore, instead of buying two to six traditional stoves each year, customers can now just buy one EcoRecho stove every two years. More significantly, use of an EcoRecho stove can drastically cut charcoal consumption, in many cases by as much as 50%. This translates to a daily saving of more than 50 cents, meaning that the outlay to buy an EcoRecho stove can be recouped in just a few weeks.